Timing is everything. Well, not everything, but an important thing. God's plan and power provide us with everything. Finding his timing for that plan and power is crucial. 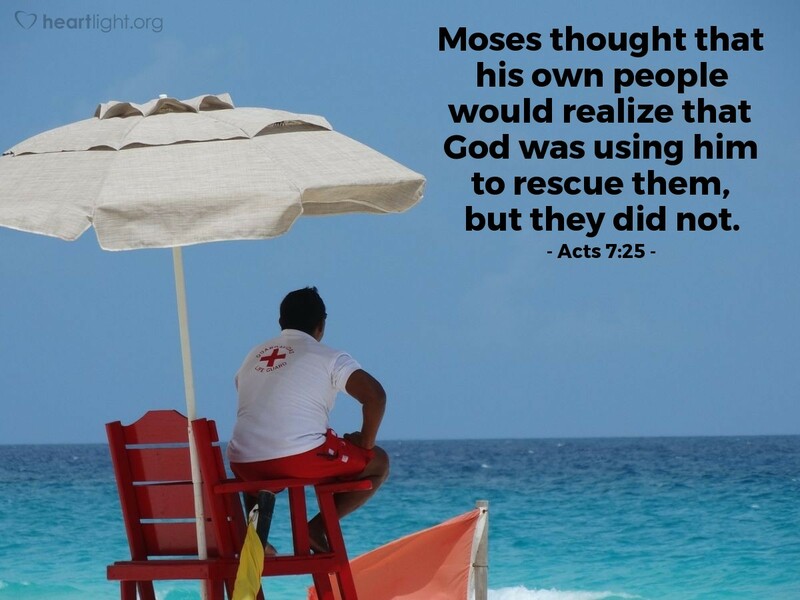 When Moses took it upon himself to redeem God's people, he failed. After being humbled in the wilderness, God called him back to deliver the people at the divine moment and according to the Almighty's plan. The results led to the Exodus — the redemption and rebirth of God's holy people. Dear Heavenly Father, I am often impatient and frustrated by having to wait. Forgive me, dear God, for trying to rush your timetable and for assuming my plan is your plan. Please give me wisdom to know what to do, where to go, and when to act. In Jesus' name, I pray for this patience and wisdom. Amen.